is Oregon's most populous city, and the third most populous city in the Pacific Northwest, after Seattle, Washington, and Vancouver, British Columbia. 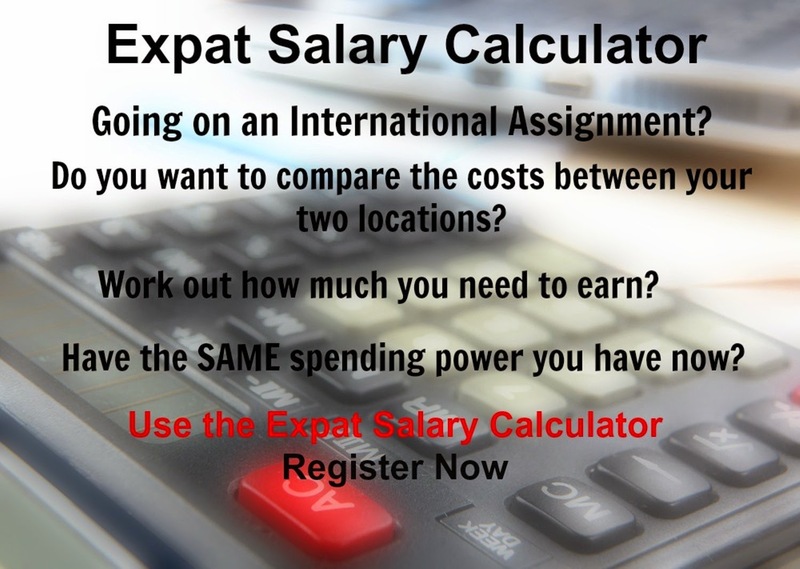 People who are thinking of working abroad could find that they can earn a higher salary overseas than they do in the UK, it has been suggested. According to Shelter Offshore, working abroad, which could include those undertaking international contracting, often offers a number of benefits. As well as a possible higher salary, the cost of living in many other countries is lower than the UK, which can make life more affordable. However, the news portal said that people looking into working abroad need to consider what to do with their UK pension, adding that seeking "qualified, regulated independent financial advice" is very important. Detroit is the largest city in the U.S. state of Michigan and the seat of Wayne County. Detroit is a major port city on the Detroit River. Detroit and the surrounding region constitute a major manufacturing center, most notably as home to the Big Three automobile companies, General Motors, Ford, and Chrysler. Detroit has an overall cost of living index which equates it with low cost of living locations. The overall cost of living index is comprised of the prices for defined quantities of the same goods and services across all 13 Basket Groups. There are a few issues. When you deposit money in a bank, you are lending it to them, to use as they wish – they can use it as security to borrow lots more money, then they lend that out, and hopefully make a profit. But they’ve made a hash of this basic model in recent years, borrowing far too much, and lending unwisely. Banks can go bust. Make no mistake. In particular they go bust when lots of depositors try to withdraw their money because the money isn’t actually there. The bank has lent it out to someone else – banks are, in essence, a legal Ponzi scheme. When trust implodes, so does the bank. Banks within the EU are underwritten by a Compensation Scheme, funded by the European Central Bank. Should the banking institutions fail, then savings of up to €100,000 (£84,300) are protected. This protection, however, is applicable to banks within the same group. To minimise the risk against the bank failing, it makes sense to spread capital across different banking groups. Health and fear are two sides of the same coin. Considering you’re an Escapeartist reader – at some stage in your life – you’ve probably entertained the thought of moving to the other side of the planet. Chicago is the third largest city in the United States, and is the largest city in the state of Illinois and the Midwestern United States. Chicago is home to 12 Fortune 500 companies. Chicago is a major transportation and distribution center. Manufacturing, printing and publishing, and food processing also play major roles in the city's economy. Chicago has the third largest gross metropolitan product in the USA. Chicago has an overall cost of living index which equates it with middle cost of living locations. The overall cost of living index is comprised of the prices for defined quantities of the same goods and services across all 13 Basket Groups. Moving to another country can drastically affect the relationship between a couple, new research suggests. While the person with the job spends much of their time trying to get settled in their new workplace, Ms Erp said, the partner finds themselves left alone, either working in a job they dislike, or staying at home. In the latter case, they often find themselves picking up more of the chores and responsibilities which may previously have been shared, leading to a sense of injustice. Boston's colleges and universities have a major impact on the city and region's economy. Boston's schools are major employers and attract high-tech industries to the city and surrounding region. Boston is home to a number of technology companies and is a hub for biotechnology. Boston has an overall cost of living index which equates it with high cost of living locations. The overall cost of living index is comprised of the prices for defined quantities of the same goods and services across all 13 Basket Groups. Apple Gidley examines the opportunities which boarding schools can offer to expat teenagers. School’s back from summer - school’s back forever. Well maybe not quite forever, but that’s what the start of a new school year feels like for many children. That sense of a permanent routine. But those are the ones going back to school with friends they know and have grown up with from kindergarten. Spare a thought for those children who at the end of the last school year knew they would be moving on – again. Following their parents to a new location – again. Starting a new school – again. Education is consistently listed as one of the most stressful aspects for a globally mobile family. To board or not to board, that is the question most often agonised over. It is an emotive issue, with no hard and fast answer. Add to the mix the cultural divergences between countries, and within countries, and you have a crucible of opinions. Individuals residing in China are subject to individual income tax (IIT). Expatriates who are employed in China are liable for IIT from either the first day they arrive in China or their first official working day. Be aware that the China Tax Bureau may take the arrival date as the trigger point for tax liabilities. They must file a monthly tax return as well as an additional annual return. Penalties for late filing can be up to five times the amount that was due. Tax liabilities of foreigners generally depend on the period of time an individual spends in China and the source of income. Individuals who spend less than 90 days in one calendar year in China are exempt from IIT if the employment income is paid by an overseas entity.